not. Without preamps, instruments and microphones simply wouldn’t produce an output signal strong enough to be heard. So what is a preamp? A preamp essentially takes a low input signal from an instrument or microphone and boosts it to line level (a standard signal strength for sending unbalanced signals between components). This line level audio is then sent to a mixing desk, audio interface or power amplifier to produce an audible sound. Preamps often vary in complexity and price range, with some having inbuilt preamp compressor and EQs; whilst others simply boost a signal. As with most equipment, preamps can be analogue, digital or a hybrid of both. Of course, each design has its pros and cons. Analogue units use tube amp valves like classic Marshall and Fender amps. These pre’s need time to warm the tubes for optimum sound and will often break up and distort the more they’re pushed which may be the sound you are looking for during a recording studio session for an electric guitar, bass guitar or to affect the guitar tone. Digital preamps can be used straight away and can sound much cleaner than their analogue counterparts. When pushed, these pre’s tend to create more of a clipping distortion than that made from tube saturation. 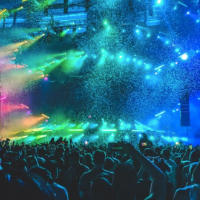 You can, of course, boost or cut bass and treble frequencies in your mixdown, but most professional recording engineers will try and create something close to which should be used in the final mix in the recording. 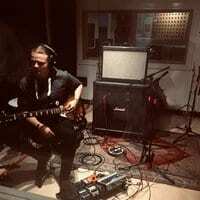 Studio engineers will often use specific channel mic preamps for specific microphones or to record specific instruments as some have a unique tone that will add colour to a recording. Recording through a microphone set up in front of a bass amp or active bass is commonplace. With thousands of possible preamps on the market and different tastes and requirements on sound and features, it’s nearly impossible to say which is the best. What works for one musician may be another’s worst nightmare… That being said, I’ve chosen ten varied units for this article in order to give a comprehensive review of what is on the market today. The Digimax D8 by PreSonus is an eight-channel digital mic preamp with two Hi-Z instrument inputs on the front display. Adjacent to these inputs are gain controls and a pad setting for individual channels. XLR inputs and TRS analogue outputs are situated on the back of the unit to keep your rack front tidy of cables. An ADAT output allows the unit to be connected to other compatible recording devices, expanding your number of available channels. Priced at £429.00, you get what you pay for – a well-built unit that does what it says on the tin; ideal for home recording studio setups, beginner stage amateur musicians and studio engineers looking to explore the world of recording. Missing features such as phase shift, output control and high pass filters (features found on some higher models), this affordable unit would be great beginners guitar preamp for recording both a live and studio setting. The main fault with the Digimax is its phantom power. Unlike most preamps, the Digimax’s phantom power switches are placed on the back of the unit which could make switching condenser microphones difficult if mounted in a rack. Take a step up from the Digimax and you get the ART Pro MPA II. This well priced, well-built unit is found in the studios of both enthusiasts and the music industry professionals. With a much larger choice of features than the Digimax and only a marginal price increase to £458.00, this preamp seems to be the go to unit for many session musicians. It’s an ideal bass guitar preamp and preamp for mics. Despite only being equipped with two mic channels and two Hi-Z instrument inputs, this valve preamp is a must have in your recording studio. With XLR and TRS outputs, this unit is full of professional features such as low cut filters, phase inversion, stereo recording capabilities and a LED meter to monitor tube warmth. Its most useful feature is for studio engineers with a variety of microphones. That is its ability to vary the input impedance to tailor the preamp settings to your microphone – optimising your recording sound. Like the Digimax, this unit also utilises ADAT technology with the units analogue – digital conversion. 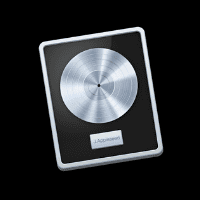 Great for plugging straight into your USB audio interface or DAW. This very affordable unit, packed full of professional tools is great for both the beginners recording at home and the pros. Honestly, its only flaw could be the amount of channels, limiting the unit to studio work only. If you don’t need multiple input channels, the Grace Design M101 is the preamp for you! Priced at £764.00, this unit would work great as a mid-range single channel pre for aspiring professionals. As you’d expect, it has an XLR and Hi-Z input with both XLR and TRS balanced output which can both be used in conjunction to use a zero-latency source-monitoring path. Unlike most other preamps, this unit has an external 6V adaptor. Despite the risk of the non-labelled PSU being mixed up with other power supplies, having the power transformer outside the rack helps to minimise the risks of electrical hum. Regardless of the simplistic design, the unit is packed with professional features like gain control, 75 dB gain boost, trim and its unique ribbon control – protecting your fragile ribbon microphones. The unit does have phantom power however doesn’t have an LED status indicator; not an essential feature, but definitely a useful one! Especially when carrying out quick checks. Overall, it’s a well-built unit that’d be perfect for mid-range studios and musicians – especially musicians with home studios and one microphone! Other online reviews shout about this unit’s clean, hum-free sound; making it the best mic preamp for rap vocals and crisp recordings. We all know the name Focusrite. Interfaces by this company can be found in both home and professional studios all over the globe. Focusrite is known for creating well built, simplistic, professional sounding pro audio equipment; and the OctoPre is no different. With 8 XLR input channels, 2 Hi-Z instrument inputs, 8 TRS line outputs and ADAT, this digital preamp will give you everything you need for both live and studio recording in a simplistic package. The 8 channels, anti-clip technology and LED metering on every channel makes this unit perfect for recording drums. And, with its ADAT output, the OctoPre is compatible with other ADAT units, allowing for even more channels when recording! Available in two models, the OctoPre and the OctoPre dynamic, both contain common preamp features such as phantom power and pads. The OctoPre dynamic, however, also features a soft-knee compressor with a ‘more’ button for more aggressive compression. Priced at an amazing £321.00, this preamp Focusrite has to offer would be perfect for semi and professional musicians and engineers. 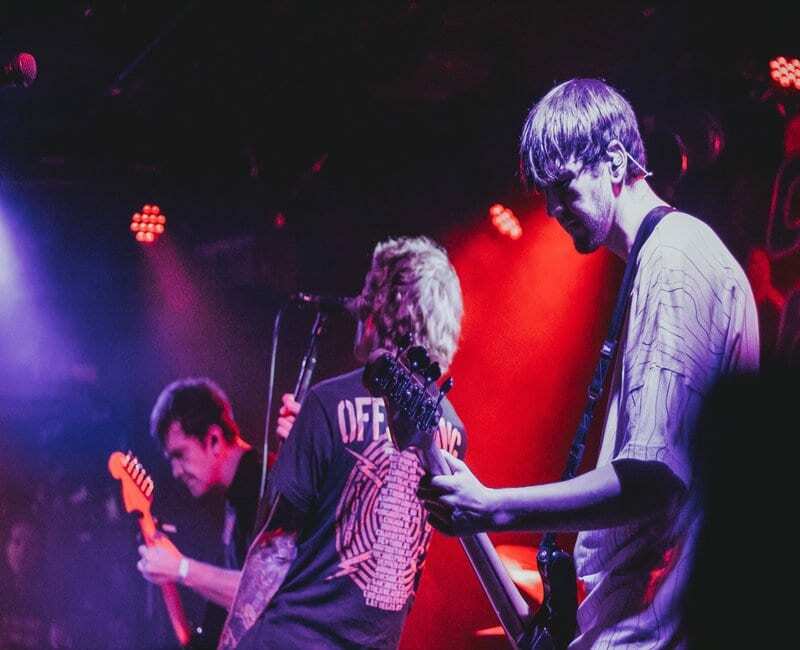 Live sound technicians would benefit most from this preamp due to its strong capacity to record drums, thanks to the anti-clip technology and bank of available channels. That being said, there’s nothing faulting this unit to be great in the studio. Possibly one of the most popular professional preamps available in today’s market. The Avalon VT-737sp is found in some of the highest quality production studios around the world and for a bloody good reason. This single channel valve mic preamp comes packed with a sweepable EQ, opto-compressor, output level controls, VU metering and more to make your recording sound at its best. A preamp this good, must be expensive – and it is. Priced around £2,500, the Avalon VT-737sp isn’t for your average bedroom producer but would make a great addition to any pro studio rig. Engineers love this unit for a simple reason; its tone. Driving these vacuum tubes produces warmth and depth to your recording that some say is unmatched by any other preamps in the market. The only possible cons could be its size and one channel limit; although in a pro studio, that’s not going to cause too much of an issue. The Universal Audio 4-710D may just be the cream of the crop. This hybrid of tube and solid state preamp allows you to blend between the two tonal options, giving the flexibility of warm tube and crisp solid-state tones when recording. Its four input channels all feature an 1176 style compressor with fast and slow settings, a polarity switch, VU meter and a switchable line, mic and Hi-Z input with balanced XLR outputs. A very useful feature of this unit is its balanced line in TRS inputs with an insert selector switch on the front panel. Allowing additional units to be paired with the 4-710D. With analog to digital conversion, this unit also offers ADAT connections. Priced at £1,743, this high-end professional preamp is considerably cheaper than its Avalon competitor. Due to its user-friendly features and four channel inputs, this preamp may be the must-have unit for every professional studio. It all comes down to budget and preference when choosing this over the Avalon. Taking a step back from microphone preamps, I now want to explore the Boss AD-2 acoustic pre. It’s common for acoustic guitarists to plug directly into the guitar amp or PA from their guitar when performing live. This often leads to a poor sounding acoustic with very little bottom end. A preamp will solve this; bringing more of the guitar’s body into the sound. 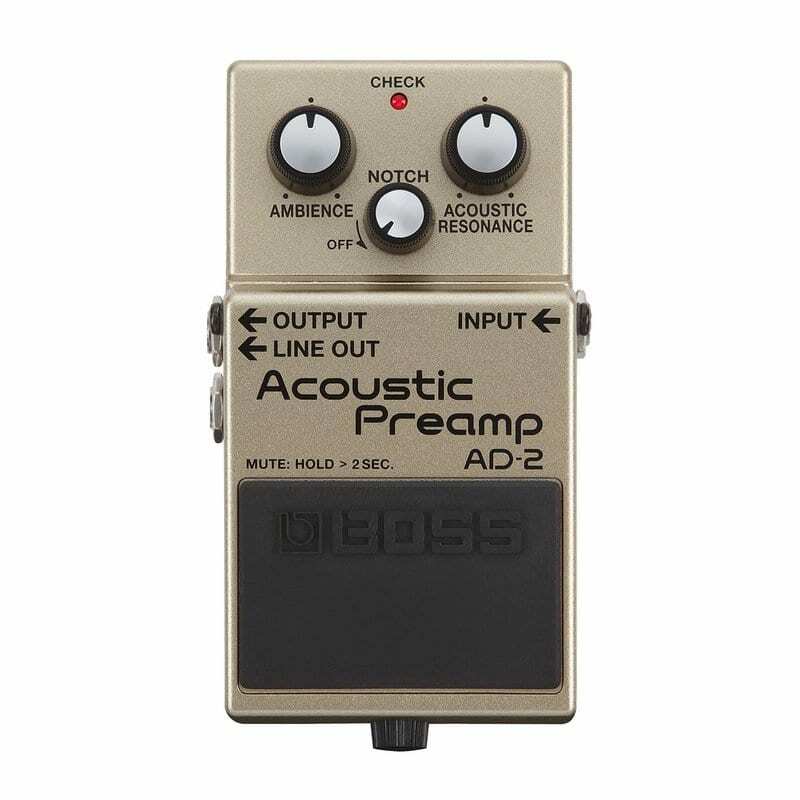 The Boss AD-2 is an acoustic guitar preamp in pedal form. Perfect for throwing in your gig bag before a show. Built like a tank, (as all Boss products are) the unit displays four simple features to get your acoustic sounding like itself again. The acoustic resonance knob dials in the tone of your acoustic as if it was played unplugged. Adding all of the missing bottom end that you get when plugging directly into the PA. The units ambience parameter ads a reverb to your sound that has been optimised for acoustic guitars. The notch filter is for feedback control – resolving that occurring feedback problem found in most live acoustic environments! 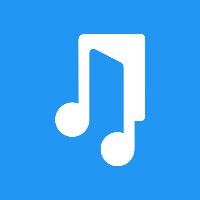 Finally, the mute function – perfect for tuning or changing guitars between songs. For those that like to play with an amp, the pedal also has balanced and unbalanced jack outputs, allowing for the signal to be sent both to your amp and the PA. Priced at £93.00, this very affordable acoustic preamp will solve the problems faced when using your acoustic live. It’s small and sturdy design makes it perfect for the average gigging musician. For those who want a bit more at their feet, the Fishman Platinum Pro offers a little extra compared to the Boss AD-2. Like the AD-2, this unit will solve the problems faced when gigging live with your acoustic; but will also provide you with additional features, removing the need to carry multiple pedals. The Fishman Platinum Pro will become the brain of your acoustic rig. With a 5 band EQ that has sweepable mids, a low-frequency filter, analog soft-knee compressor, chromatic tuner, 12 dB boost, phase control and a notch filter for feedback control – this will be the only pedal you ever need on your acoustic shows. Built from a strong metal casing, this preamp guitar pedal also offers an effects loop for any additional pedals you may need. Balanced XLR DI out and unbalanced jack outputs allow you to run your guitar into both the PA and your amp. Priced higher than the AD-2 at £189.00, this all in one preamp will give the gigging musician everything they need on an acoustic show. The very affordable price and variety of features would make this unit perfect for every level of musician wanting to solve the typical problems of playing their acoustic guitar live. As I said earlier in this article, preamps are everywhere. For an electric guitarist, they’re commonly built into their amplifier. It’s these preamps that make the unique tones of Marshall, Fender, etc… However, with improved technology, the days of carrying heavy amps to a show are no more. 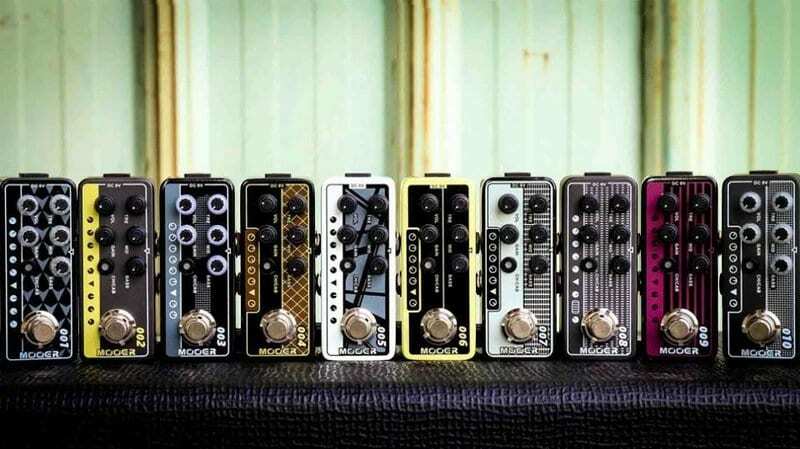 Mooer has recently released a series of 20 preamp pedals that model the circuits of classic guitar amplifiers. These small pedals can be used in three possible ways: In the front of the amp as a normal effects pedal, in the return of an amps effects loop to bypass the original preamp or direct into a PA with a cab simulator. Each pedal has two channels, clean and lead. These channels can either be switched via a button on the pedal or by the pedals foot switch. A three band EQ allows the guitarist to dial in their required tone. In essence, a guitarist could have multiple micro preamp pedals on their board, all plugged into their amps effects return. Different preamps could then be used to accurately recreate the sound of different amps on a show. Perfect for musicians in covers and tribute bands wanting to accurately recreate the original recording tone without purchasing multiple amps or a Kemper. Priced at £99.99, this is a much cheaper way for the average musician to recreate the tones of their heroes on cover shows. The small design is also a bonus, saving that forever needed real estate on a guitarists pedalboard. Like the Mooer preamp pedals, the Victory V4 series offers guitarists the ability to recreate the tones of their favourite amps. 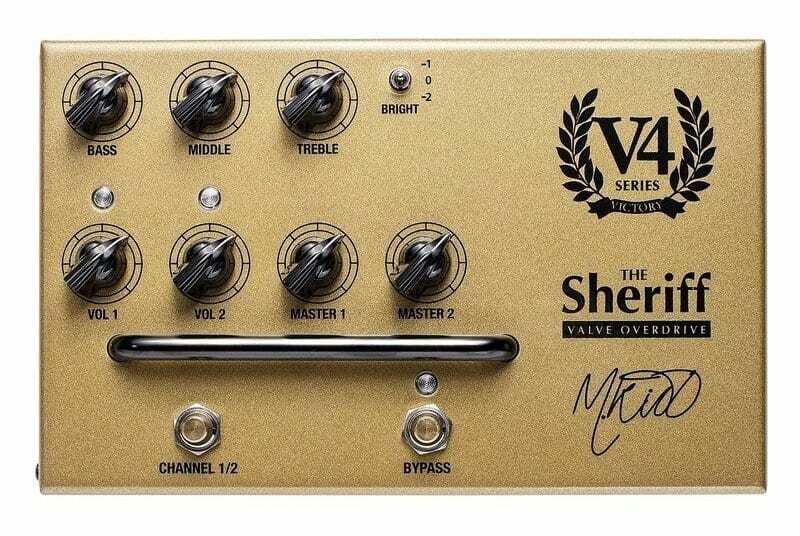 Priced at £349.00, the V4 series consists of three valve pedals; designed to emulate the preamps used in popular Victory amps. Each pedal has two channels, clean and lead. Both channels have separate volume and master controls, however, share a three-band EQ. A brightness switch is also provided to counter the preamp sounding brighter / darker when used in different power amps. Operating the preamp is very self-explanatory. Also, there’s an easy guide on the top of the pedal instructing how to use the preamp in different situations. (front of amp vs effects return). Although pricier than the Mooer range of preamps, the V4 series offers a much more accurate tone print of the original amp – perfect for musicians who want that Victory tone without busting the Bank. It’s hard to say which preamp is best. Especially when you consider the many possible applications and preferences a musician and engineer may have. That being said, I’ve picked my personal favourites and in doing so, tried to cover a broad spectrum of requirements. Regarding studio preamps, the ART Pro MPA II is definitely the best all rounded unit for both beginners and professionals. Its affordable price and collection of features gives professionals a simplistic preamp that sounds great, whilst giving beginners a unit to learn from without busting the bank or left needing an upgrade in a few years time. However, If two channels aren’t enough, then I would definitely recommend the Focusrite Scarlett OctoPre. Which is another great mid-range preamp perfect for both live and studio musicians wanting to record drums or multiple microphones. On the higher end of things, the Universal Audio 4-710D has my vote. Being able to blend between tube and solid state tones, whilst having the additional channels and features than its Avalon competitor is definitely a pulling factor. Plus, it’s cheaper! 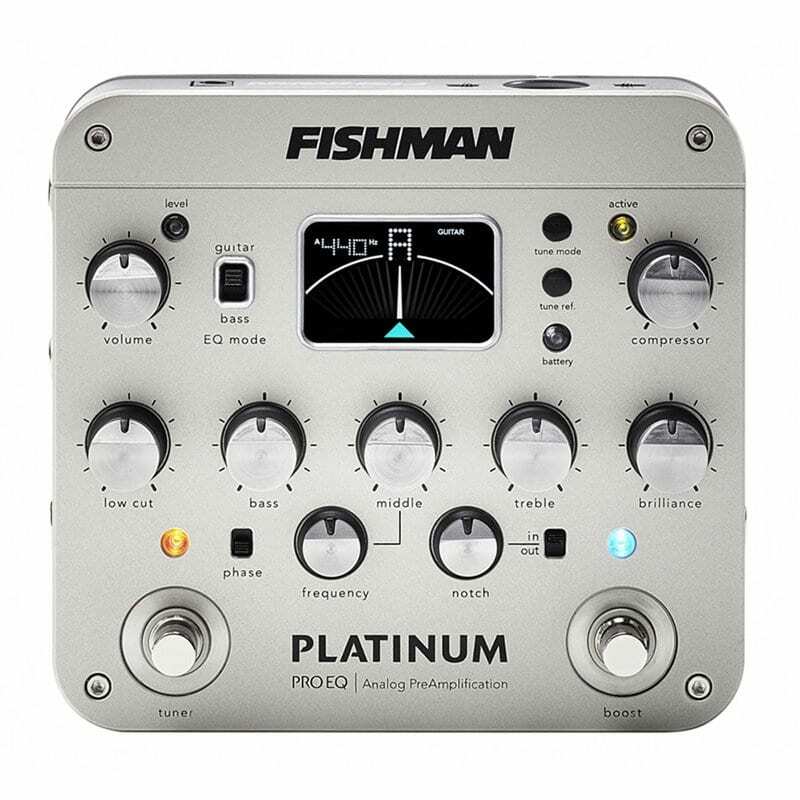 When looking at guitar preamps, it’s the Fishman Platinum Pro that takes my vote. Having an all in one unit that not only solves live acoustic guitar problems but also means you can take fewer pedals to the gig is always going to be a winner in my book. Simply, an affordable guitar preamp acoustic guitarists need; professional or beginner. 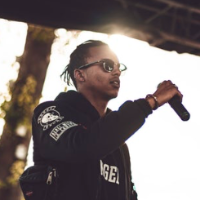 Are you an artist ready to start working with a producer or vice versa. 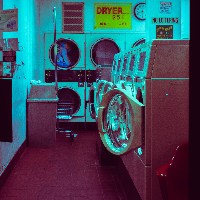 Are you looking for someone to collaborate with? Why not join our community of thousands and find your perfect partner in crime today. Plus get a free 14-day trial when you sign up.